Gathering water from the Tuscarora foot hills, and traveling through farm land, Johnston Run essentially creates the border between Peters and Montgomery, and flows past the ball park and VFW, through Mercersburg Borough and on to the West Conococheague, which joins the Potomac River at Williamsport, Maryland. 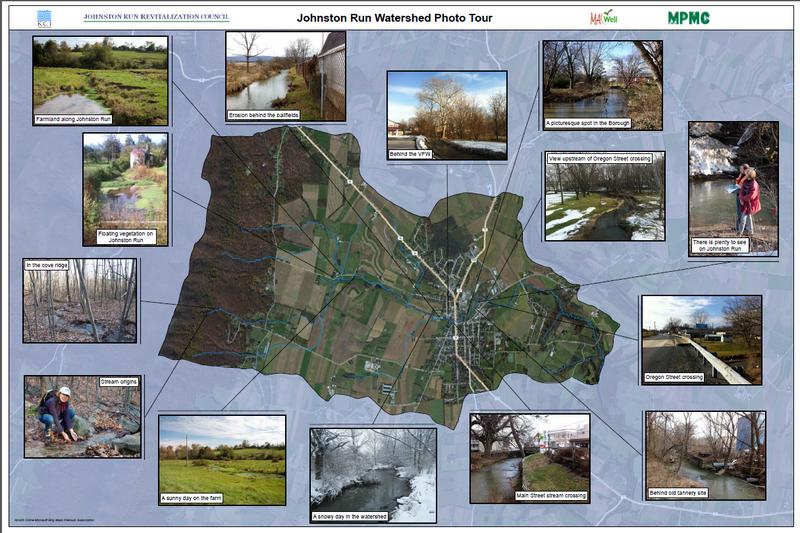 In 2012 the Borough of Mercersburg, in collaboration with Peters and Montgomery Townships, received a capacity-building grant valued at $100,000 to receive technical assistance toward the revitalization of Johnston’s Run in order to achieve the long-term goal of health for our community and its citizens, Johnston’s Run watershed and the Chesapeake Bay. The goal is also to effectively engage residents creating lifelong environmental stewards of Johnston’s Run, and establish meaningful discussion among local government, residents, and landowners. Along the waterway now and what it could be like with a trail. The Tannery contributed to Johnston Run pollution until the 1980's. 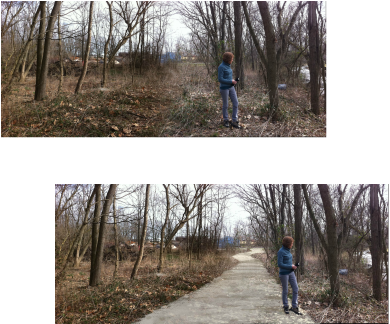 The area has been in remediation since then. Crystal Clear water flowing to Johnston's Run from Tuscarora Ridge. A waterway consultant - KCI has conducted a general assessment of watershed health and function, along with a more in-depth assessment of the stream corridor for degraded conditions, including: bank erosion, lack of riparian vegetation, livestock allowed in streams, pipe outfalls in or near stream construction, and trash dumping. Delineates a hiking and biking streamside route through borough property. As part of the watershed assessment, we collected baseline water-quality data, engaged landowners and other stakeholders along the waterway, and will develop a long-term water-quality monitoring program. We are working with the Boy Scouts and the school district to identify opportunities for youth involvement and education in these water-monitoring efforts. Our goal is to enroll the younger generation in being lifelong environmental stewards. The technical advisor developed a conceptual design of a downtown waterway trail that helps to improve the aesthetics for businesses and tourism and to become a valuable resource to residents for community activities and personal well-being, decreasing the likelihood that the waterway will become a liability to health, aesthetics and environmental function.